We've packaged together four of our top vocal training Webinars to help you understand vocal registers, how to map them onto "head and chest voice" and vocal range, what mixing really is, and techniques for troubleshooting range problems. For a limited time only, you can get all four Webinars just £93, reduced from £108. 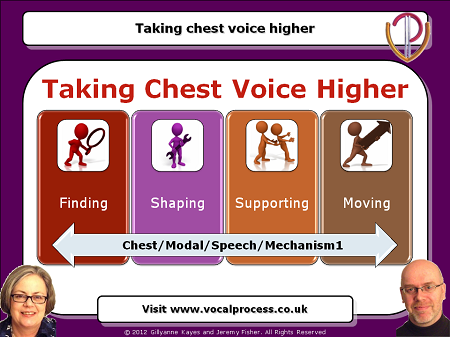 Webinar 7 - Taking Chest Voice Higher contains practical techniques for female chest voice up to the C above middle C and beyond, with tips for staying safe and creating different chest mixes. All the techniques in this Webinar are geared towards modal vibration, sometimes called chest voice (called mechanism 1 in Europe/Australia, called mechanism 2 in the USA). 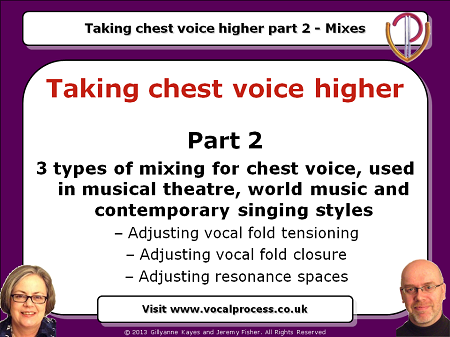 Webinar 8 - Taking Chest Voice Higher - Mixing contains techniques for finding different chest voice mixes by changes in breath use, vocal fold resistance, length and tensioning, and resonating strategies. All the techniques in this Webinar are geared towards modal vibration but most can be used on a falsetto vibration too. 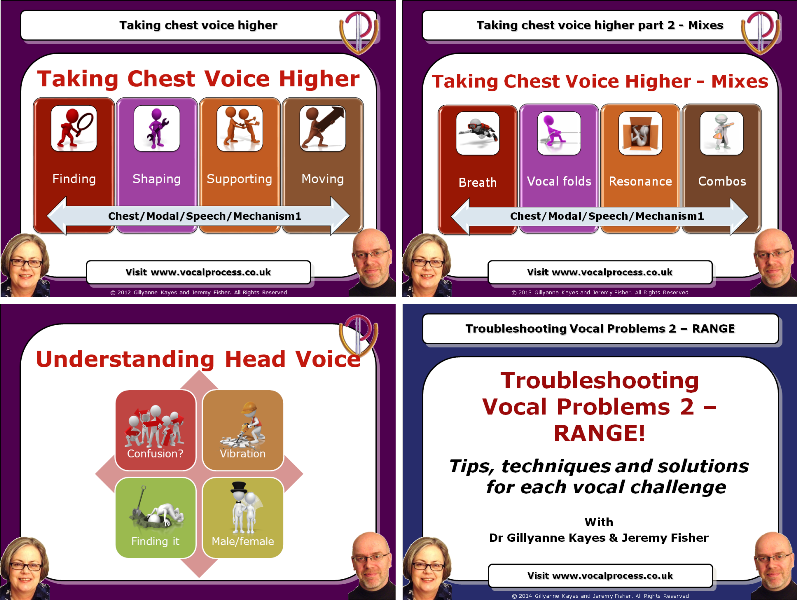 Webinar 12 - Understanding Head Voice. 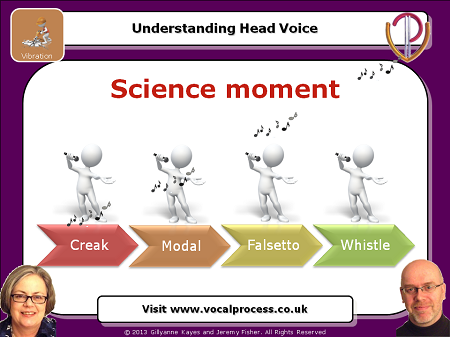 In this Webinar we identify two different types of head voice - based on different modes of vibration. We take you through understanding the concept, hearing and feeling the two different versions of head voice, mapping these two different registers onto vocal transitions in different genres, and the female "middle register". 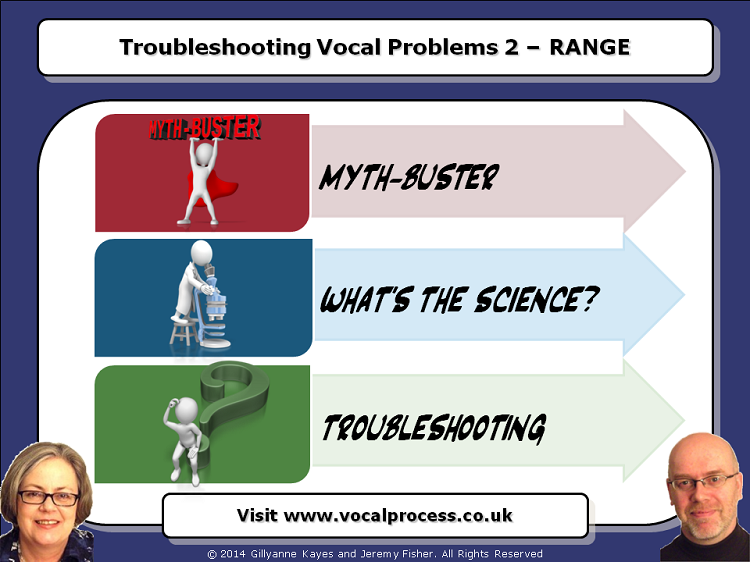 Webinar 17 - Troubleshooting Vocal Problems 2: Range. This Webinar shows you how to put everything together, why keeping everything "the same" won't work, and five areas to consider when troubleshooting range problems. We also include three case histories, highlighting how we helped three singers (actor-singer, female belter and classic tenor) find secure high notes and extra range. Your purchase price includes four extensive Handouts of techniques, hints and tips, and full access to the streaming Webinar videos. You can pause, rewind and repeat the online videos as many times as you like for the perfect learning experience. As soon as your Webinar package order goes through, you’ll get an email with confirmation of your purchase. We'll send you the four PDF Handouts directly to your email inbox in a time-limited link. Make sure you download them to your hard drive straight away. If you want to understand vocal registers and how they work in the real world of singing, add this Registers Webinar package to your cart now! 93 points will be rewarded to you when you buy this item.